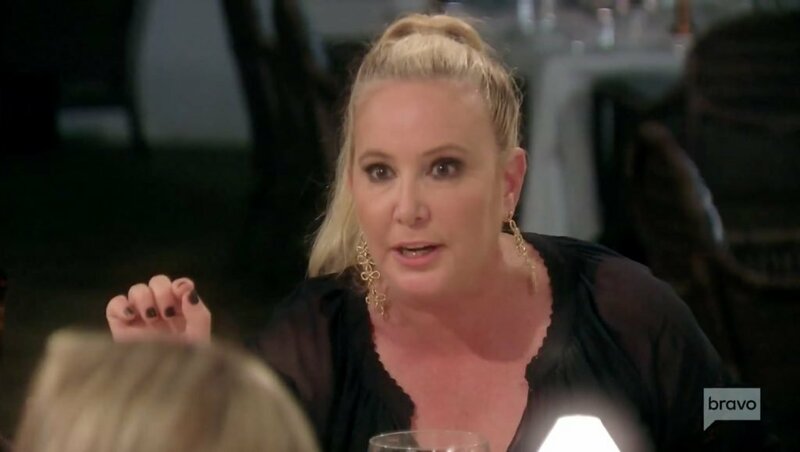 Shannon Beador Admits That Her Jamaica Breakdown Was "Very Difficult To Watch"
Most of the time, a Real Housewife freakout provides the fandom with some premium content, but could that be said about Shannon Beador’s meltdown during the last episode of Real Housewives of Orange County? That’s debatable. It was like that age old car crash metaphor. I didn’t want to watch her unravel, yet I couldn’t look away. It was pretty uncomfortable to watch her fight with every single cast member and rip off her microphone as if the whole group was against her. With that said, I can’t imagine how Shannon felt watching that and reliving the drama months later. As expected, Shannon’s Bravo blog post about the episode was very brief. I don’t blame her for not wanting to discuss this or possibly struggling to find the right words in her own defense. Shannon wrote, “This is a very difficult episode for me to watch. First, to re-live the pain I was going through at the time in a fairly new separation, but also to hear what my friends were saying behind my back.” Surprisingly enough she didn’t call out any of her costars specifically, but she does plan to. Shannon shared, “I have so many things to say, but at this time I don’t want to dive into it. We are filming our reunion this week, and I intend to address it there.” That’s definitely going to take up a big chunk of the reunion. The meltdown involved every single cast member. Not only that, but not much else happened this season other than the double dates fiasco. Nevertheless, Shannon remained hopeful: “It can only get better from here. Until next week…” How is she going to rebound from thos histrionics? TELL US- WHAT DO YOU THINK ABOUT SHANNON’S MELTDOWN IN JAMAICA?